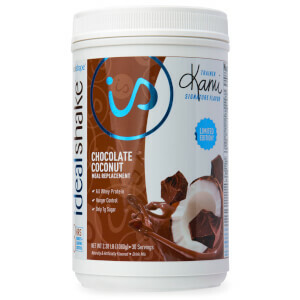 For a limited time, you can enjoy the sweet, buttery taste of a snickerdoodle cookie in a meal replacement shake with Trainer Kami’s Snickerdoodle IdealShake. You get the same hunger blocking effects you’ve come to expect but in a brand new flavor. It won’t be around for long, so try it while it lasts! 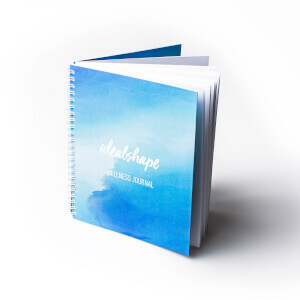 Ingredients: IdealShape Protein Blend (Whey Protein Concentrate, Whey Protein Isolate), IdealShape Hunger Blocker Blend (Vitafiber ™ Isomalto-oligosaccharide, Slendesta ® Potato Protein Extract, Potato Maltodextrin), Sunflower Creamer (Sunflower Oil, Maltodextrin, Sodium Caseinate, Mono- and Diglycerides, Dipotassium Phosphate, Soy Lecithin, Sodium Silicoaluminate, Tocopherols), IdealShape Vitamin and Mineral Blend (Calcium Carbonate, Magnesium Oxide, Ascorbic Acid, Vitamin E Acetate, Biotin, Potassium Chloride, Vitamin A Palmitate, Niacinamide, D-Calcium Pantothenate, Electrolytic Iron, Zinc Oxide, Vitamin D3, Pyridoxine HCl, Thiamine HCl, Riboflavin, Vitamin B12, Folic Acid, Potassium Iodide, Maltodextrin, Starch), Maltodextrin, Natural and Artificial Flavoring (Natural and Artificial Flavors, Gum Acacia), Cellulose, Salt, Cocoa Powder, Sucralose, Bromelain, Papain, Digeseb (Multi Enzyme Complex, Maltodextrin). 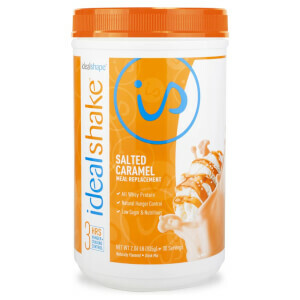 I have been on and off the ideal shakes now for a few years, i love them but food ends up calling me. 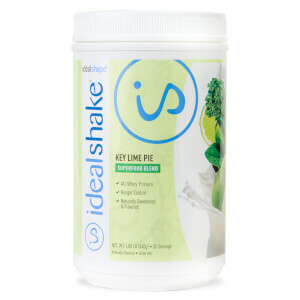 With the snickerdoodle flavour i have NO problem saying no to food and going with the shake. My absolute favourite and am ordering 2 before it goes out again. Tastes horrible, not like a cookie. Leaves a bad aftertaste. I love this brand but I do not recommend this flavor! I was so excited to see this back in stock! If I had more money I would buy more containers! It tastes just like a snickerdoodle cookie! Absolutely delicious! Please keep this in stock always!! Probably one of my favorites. It tasted even better when I mix it with Almond Milk. It could use a pinch of extra flavor but overall it thickens out with water or milk. Ugh this is the worst tasting IdealShake I’ve ever tried!!! It has a horrible after taste. It kind of has a burnt taste mixed with other disgusting ‘flavors’. It’s not good. My favorite shake is cookies and cream, and to give you an idea of what I think is good.... I also like chocolate, peanut butter chocolate, vanilla, and strawberry. I kind of like the cinnamon bun. But this snickerdoodle one is nasty! I know this is one of the originals but it lacks a lot of flavor. I think it would be great tasting if it was a little stronger. It still keeps me full for a long time which I love! !